When most people consider the subject of estate planning, they think about the document called a last will. 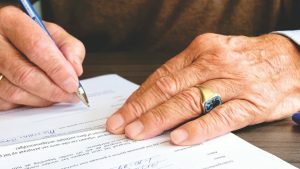 Indeed, this is a very commonly utilized legal device, but there are actually three other types of wills that can be part of the equation. Before we look at these wills that fly somewhat under the radar, we should clear up a misconception about last wills. A lot of individuals that have not looked into the subject automatically assume that a last will is the only logical choice for someone that is not a multimillionaire. They have heard of trusts, but they assume that they are only useful for very wealthy families. It is true that there are wealth preservation trusts that are used by individuals that are exposed to the federal estate tax. This being stated, there are reasons why a person that is not extremely wealthy may want to establish a trust of some kind. We are not going to get into all of them here, but we will take a quick look at the value of a revocable living trust as an alternative to a last will. One major disadvantage of a last will is the fact that it must be admitted to probate. It will take eight months to a year for probate to run its course, and the heirs cannot receive their inheritances while the estate is being probated by the court. There can be a number of expenses that accumulate during probate, including legal fees, court costs, and the payment to the executor, just to name a handful. This money comes out of the pockets of the rightful inheritors. These are two major drawbacks, but there are others. If you utilize a revocable living trust in lieu of a last will, the trustee would be able to distribute assets to the beneficiaries outside of probate. As a result, all of the negatives would be avoided, and you could take advantage of additional benefits. Another type of will that should definitely be a part of every estate plan is a living will, which is an advance directive for health care. In some instances, medical professionals have the ability to keep people alive indefinitely through the utilization of artificial life sustaining measures when there is no hope of recovery. Whether or not you would want to be kept alive in this manner is a personal decision. It would be very hard for your next of kin to make a decision on your behalf, and members of your family could disagree with regard to the appropriate course of action. To make sure that your true wishes are carried out, you can record them in a legally binding living will. The purpose of a revocable living trust is to facilitate efficient asset transfers to your loved ones. To this end, you are going to want to convey assets that will comprise your estate into the trust. However, for one reason or another, you may have some resources that are still in your direct personal possession at the time of your passing. To account for this, you could include a pour over will in your estate plan. This type of will would allow the trust to absorb assets that were not conveyed into it while you were alive. The last type of will that we will look at is the ethical will. This document has nothing to do with money, but it can be a very valuable addition to your estate plan. Since biblical times, people have used ethical wills to share moral and spiritual values with the loved ones that they will be leaving behind. We provide many different useful resources on this website that you can tap into to gain a more comprehensive understanding of the estate planning process. You should definitely look around and take advantage of the opportunities that we present to build on your knowledge. One of these resources is our estate planning peace of mind worksheet. We are offering it free of charge right now, and you can access your copy quickly and easily. Simply click this link and follow the instructions to get your copy of this valuable worksheet.